A new eMarketer report projects at least a quarter of the expected audience of 4 billion for the London Olympics will be on PCs and mobile devices including phones and tablets. The study pointed out that major broadcast rights holders, such as the BBC in the U.K. and NBC Universal (which paid $1.18 billion for exclusive U.S. rights), are investing heavily in providing online and mobile access to a wide range of Olympic coverage. Those efforts open the door to increased consumption across digital platforms. Recent research from Deloitte suggests between 15% and 26% of Internet users in France, Germany, the U.K. and U.S. will watch at least some of the games on a PC or tablet. In Germany, nearly half will watch via the mobile Web. In the U.S., 28% said they intend to discuss the Olympic Games, 20% will watch all or part on a PC, laptop or tablet, and 15% will watch all or part on a mobile phone. 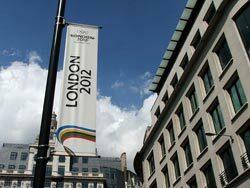 During the 2010 Winter Games in Vancouver, more than 100 Web sites drew a combined estimated audience of 1.3 billion. Olympics content attracted nearly 74 million unique visitors, who racked up 1.2 billion page views and 272 million video views, and watched over 38 million hours of video in total. If the Summer Games in Beijing are any guide, mobile will be especially important medium for checking on results. Three-quarters of those surveyed by Nielsen in 2008 said they would get results via mobile compared to less than 40% that planned to read articles or view medal counts. But consider what’s changed since then. Smartphone penetration in the U.S. has gone from about 10% in mid-2008 to almost 50% now, according to Nielsen. eMarketer estimates global smartphone penetration at 24%. When it comes to tablets, the iPad hadn’t even been introduced in 2008. The spread of more sophisticated technology should give a boost to mobile video viewing in particular from four years ago, as indicated by the Deloitte data. The report also highlights how several major brands are capitalizing on the growing mobile and social audiences for the Olympics. Coca-Cola, for example, developed a Spotify music app, “My Beat Maker,” that allows fans to create their own music by downloading samples and moving their mobile phones. Samsung’s Facebook page promoted the “Olympic Genome Project” with a game; it offered competitions featuring discounts on Samsung products and tickets to the games. Visa is installing more than 140,000 contactless payment terminals across the U.K. in time for the games. But as of mid-June, the eMarketer report authored by analyst Karin von Abrams finds only a handful of companies are taking Olympic marketing into new territory. Among them is official sponsor Holiday Inn, which is promoting the London Kensington Forum hotel as “the world’s first augmented reality” hotel. For a limited period, visitors with smartphones or tablets can see Olympic and Paralympic athletes “in action” in various rooms of the hotel through AR installations. But the study also warns of the risks inherent in Olympic marketing, especially if it seems too gimmicky.